Knowing what works and what doesn’t work when it comes to digital products is the starting point of making real money. An important and often underestimated component is a digital product cover. Creating one may sound easy, but the truth is you can’t just throw one together haphazardly and expect out of this world results. There are a few things you must first consider. 1. The design process should be creative in nature. This is a potential limitation of relying on software that was not made with eCovers in mind. Specialized software will significantly diminish how much creativity you need. If a designer does use non-specialized software, they must use his or her ingenuity to combine different color and letterings to have any chance of making a visually appealing and attention-grabbing software box design or eBook cover. 2. The combination of different software has been known to give some of the best quality eBook covers. Packages like Corel Draw and certain Photoshop actions complement each other vtery well. However, you must know what you’re doing. If you do not, things can get very messy. 3. 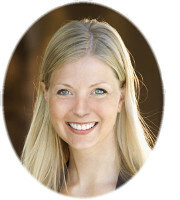 The background of your eCovers must match your website. Not all graphic artists can do this or offer this service to their clients. Most of the time, the background of your cover image is set as white. But if your cover is put up on a site which is a different color, the visual will be rather amateurish, and you risk turning your potential buyers away. 4. The size of your cover needs to be carefully considered. Download speed and responsiveness are vital user experience factors. Make your eCover only as big as it needs to be, and put together several different sizes if necessary. If things take too long to download, your site’s visitors will be long gone before the download ever finishes. By far, the easiest way to create a digital cover is to outsource the design job to those that are talented and savvy in doing it well. Taking this single step will unquestionably pay off. If you already know that you don’t have a flair for designing, why do it in the first place, right? Yes, outsourcing can get expensive, and most digital product marketers find it difficult to justify spending a lot of money for just an eCover. But if you look around, you should be able to find a designer that is relatively inexpensive, yet will do an excellent job. But what if you do decide to design a professional looking cover by yourself after all, even when you know you lack the necessary design skills (I’m most definitely part of this group). Step one is getting your hands on quality eCover design software to make up for that shortcoming. You can, of course, pick up Photoshop and Corel Draw as I mentioned above, but if you’re not a ninja at using them, I would suggest starting off a lot simpler (and cheaper!). There is plenty of software created specifically for digital cover design. These are user-friendly enough to allow you to put together the perfect cover without any background in art or design. Pixel Studio FX is one of those (and, in my humble opinion, the best one). I would also suggest you forego the free eCover design software options. You get what you pay for is all I will say on that subject. When you purchase one of this software, you usually get access to all kind of helpful things, like online message boards and video instruction on how to get the most out of your investment. Of course, the software is hopefully user-friendly enough so that you won’t have to rely on those resources too much, and instead, can hit the ground running. You will usually get a good amount of starting templates, which you can easily customize to make a cover that is entirely unique and entirely your style. I have always been able to find one that matches my goals. Once you select your starting template, the number of customization you can usually perform is staggering, and at the same time never overwhelming, because the software is designed for and streamlined around digital cover creation. In addition to moving, adding or removing various elements of the cover, you can change colors, rotate or flip things, adjust brightness and contrast, apply other various filters, add drop shadows (giving things a more 3D look), and so on. Everything you would possibly want to do is there but is never necessary. If you don’t feel comfortable making too many complex changes, you will still end up with an eCover you will be proud to show off. The best part of using eCover design software is the cost when compared to outsourcing the work. As I mentioned, good designers can get expensive. On this flip side, and excellent design software like Pixel Studio FX will set you back less than $50, and is a one time fee. So, for any future projects, your cover creations will not cost you anything more than a bit of your time. 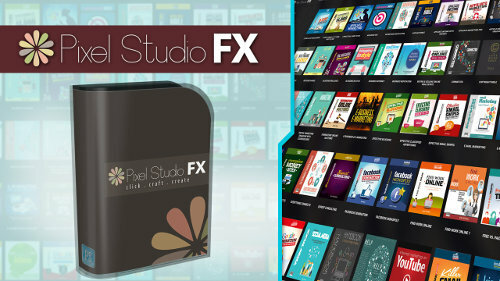 If you’re interested, you can read the full review of Pixel Studio FX here. There are also alternatives that I have heard good things about if you elect to go the self-design way but decide this specific software is not for you. Though personally, Pixel Studio FX is all I ever needed.